Regent's Place Plaza is at the heart of Regent's Place, a 13 acre site between King's Cross and Paddington that accommodates close to 12,000 workers and residents. The plaza is the place where people meet, eat, drink and enjoy the free entertainment that's frequently laid on. 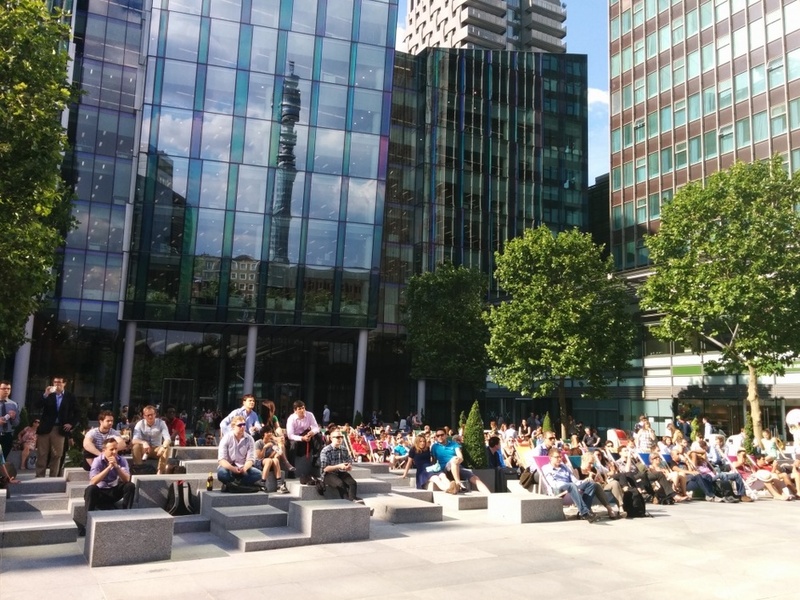 In summer, for example, there are free film screenings and there are public art installations throughout the year across the open spaces and buildings of Regent's Place. The annual events programme includes summer events during lunchtimes, charity events, farmers markets and other quirky events. What are the best dining options near Regent's Place Plaza London? Regent's Place Plaza gyms, sporting activities, health & beauty and fitness. The best pubs near London Regent's Place Plaza. Regent's Place Plaza clubs, bars, cabaret nights, casinos and interesting nightlife. Where to have your meeting, conference, exhibition, private dining or training course near Regent's Place Plaza. From cheap budget hotels to luxury 5 star hotels see our special offers for Regent's Place Plaza hotels, including Holiday Inn London Regent's Park from 80% off.